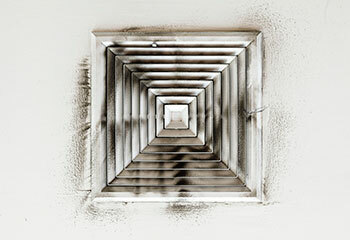 Wondering how we’ll go about cleaning and/or fixing your air ducts? While every project is unique, we want to make our prospective customers feel more confident about hiring us by sharing how we’ve helped others. 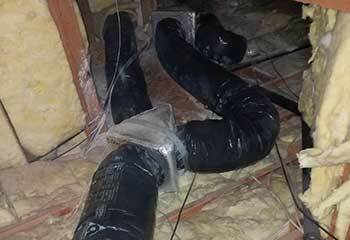 Customer Issue: Damaged HVAC air ducts. 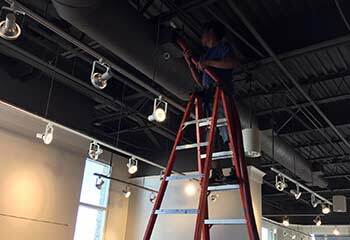 Our Solution: We provided a complete solution staring with cleaning the air ducts. The next step involved sealing the holes and applying two layers of specially formulated sealant and fiberglass mesh between them. For maximum improvement, we replaced the air filter. Customer Issue: Heavily contaminated exhaust ducts. 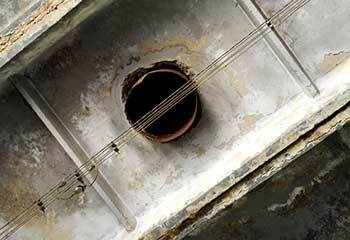 Our Solution: We detected large amounts of debris, dust, and pollen around the exhaust ducts and vents. By using our advanced tools and after a lot of work, we managed to remove all contaminants from the interior and exterior surfaces. Customer Issue: Worn aluminum-foil dryer vent with tiny holes in it. Our Solution: Cleaning the vent would have been ineffective, so we replaced it with a new one made of semi-rigid metal, ensuring that there were a minimum number of turns. The new vent is sturdier and easier to clean. We also added a hooded vent cap for maximum protection and efficiency. Customer Issue: Low indoor air quality due to contaminated HVAC air ducts. Our Solution: Our test showed the indoor air contained high amounts of dust and pollen particles. To solve the problem, we cleaned the HVAC air ducts thoroughly and installed an air filter with a higher MERV rating to improve air quality as much as possible. 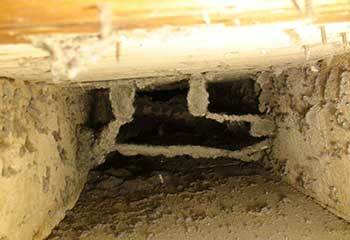 Customer Issue: Unsealed sections of the HVAC air duct system letting debris in. Our Solution: Our first task was to seal all openings, starting with the ones around the registers. We used high-quality sealant known for its effectiveness and durability. The next step involved removing all debris, dust and pollen from the air ducts.